This weekend saw some of the peloton flying to Japan to enjoy the atmosphere and the racing at two of the biggest events on the country’s road race calendar. Trek Factory Racing had a fantastic weekend in Utsunomiya with Fumiyuki Beppu delighting the home crowds by out-sprinting Ben Swift (Team Sky) and Steele Von Hoff (NFTO riding for Criterium Special Team) at the Japan Cup Criterium on Saturday, and Bauke Mollema taking the win at the Japan Cup the following day. Judging by social media, riders seem to genuinely enjoy the racing and the interaction with fans. Bernie Eisel’s fans made sure his last appearance for Team Sky was a real celebration. And of course there was animé to be had. It’s a real shame these races are not televised to a wider audience as they would make such a fabulous celebration to end the season. Luckily we can share in the excitement as one of our favourite photographers, Wei Yuet, was there to catch the action and the atmosphere in his own inimitable style. Take ten minutes and lose yourself in these extraordinary images from an extraordinary race. It’s really great to have him back capturing the action again, we have missed him. As we have this man… did I mention Spartacus was back in action? Welcome back, guys! 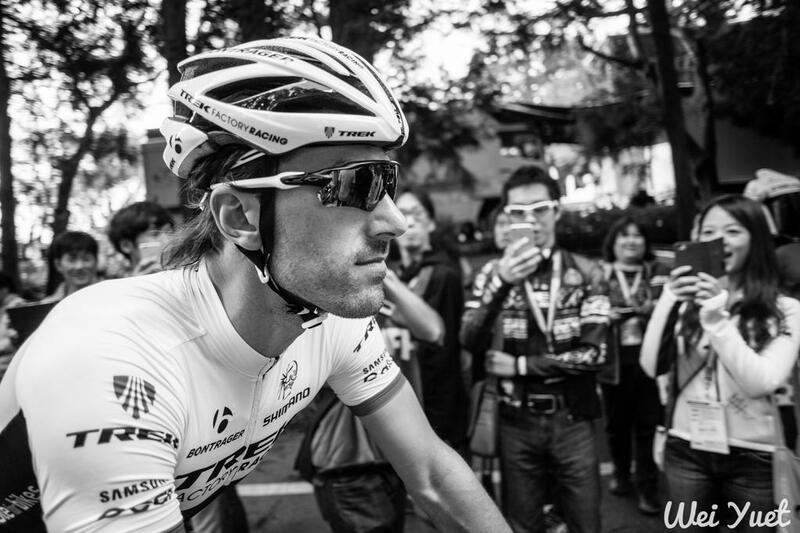 Fabian Cancellara back in his natural habitat – on the road and with his fans!